We saw Mister maker on Cbeebies do a shape picture recently and I thought since we had done some work on shapes lately it would be fun to give it a try. We used some old cereal boxes as the cardboard for the stencils. Pink helped me cut out the shapes, we did 2 of each so that they kids could work on the pictures together. 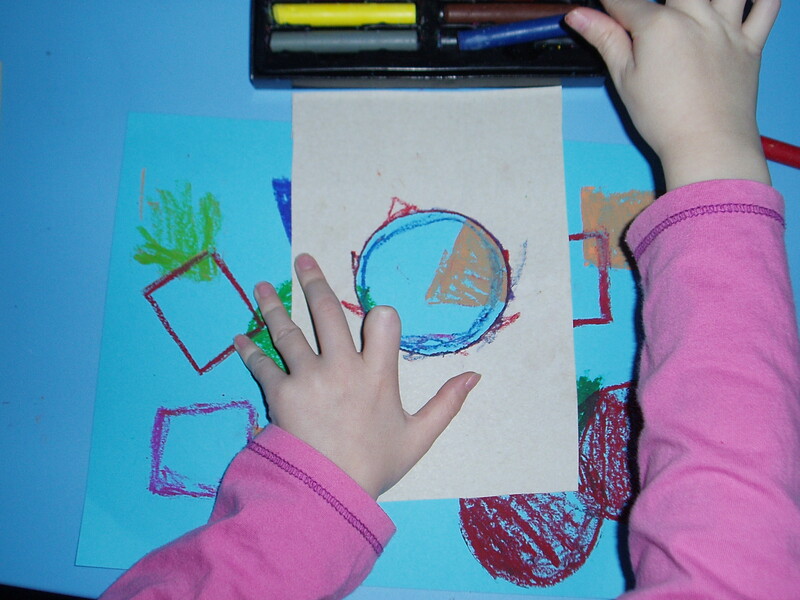 We used the stencils with our pastels to make the shapes. 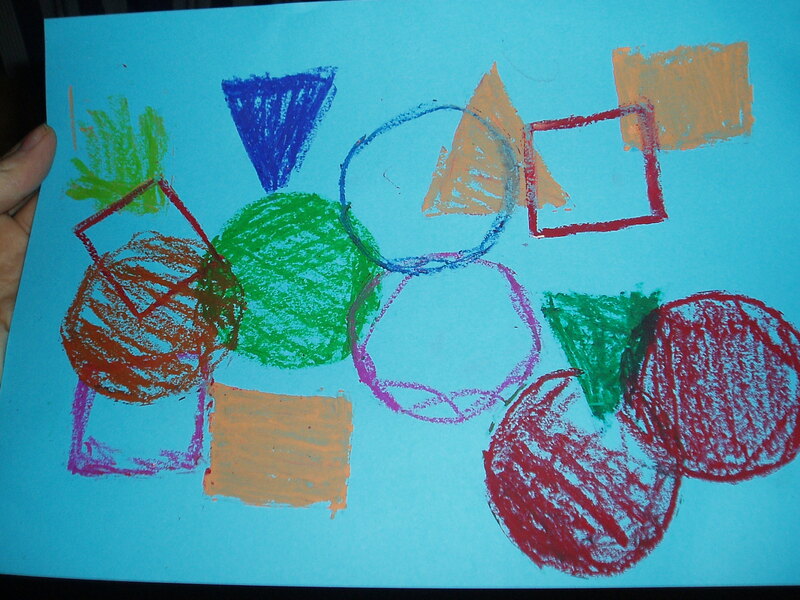 Some of the shapes we coloured in and others we just did the outline. This actually ended up being a great activity for Pink’s sensory processing as she has a very sensitive touch and so does not like holding anything firmly but with the stencils she had to hold them down firmly. 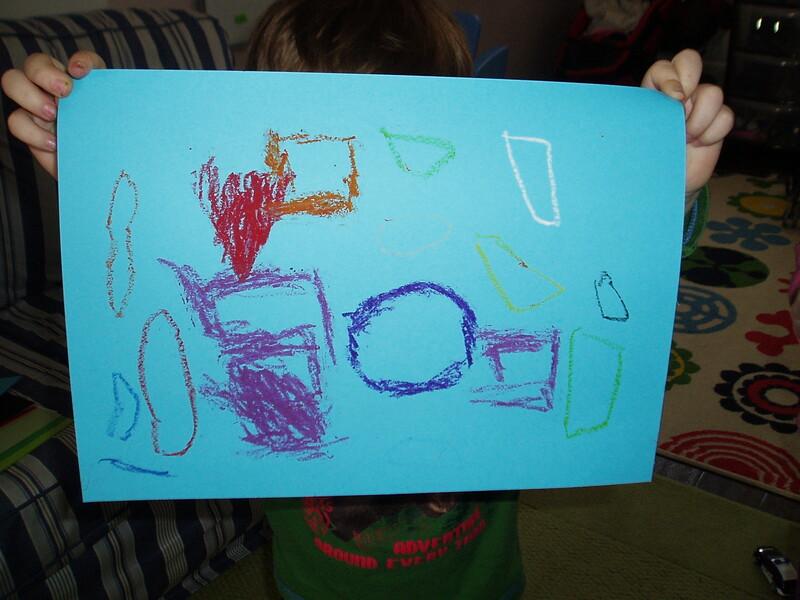 Blue used the stencils in the beginning for his picture but he also tried to draw the shapes by himself. He was very proud of his end picture and asked me to hang it on the wall. This ended up being a great, simple art project which did not require lots of different material. 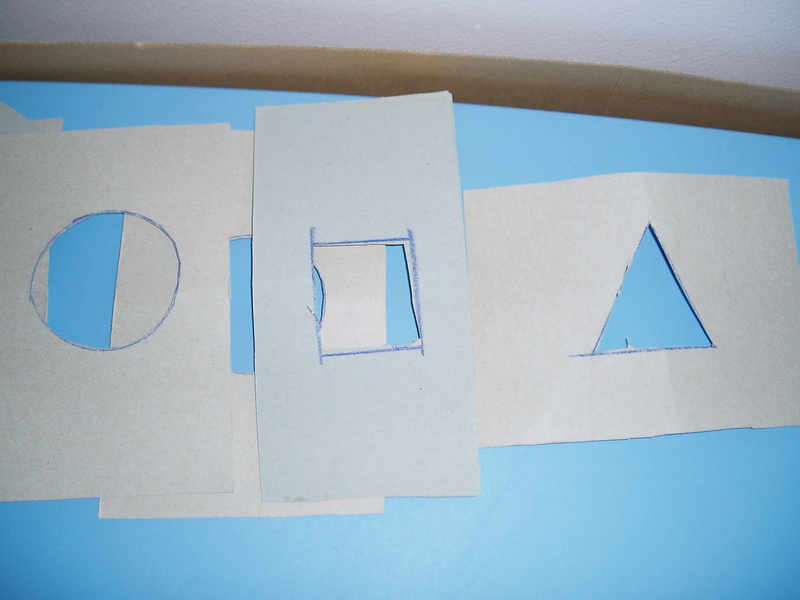 This entry was posted in Art and Craft Ideas and tagged art, ks1, shapes. Bookmark the permalink.